We have all heard the rags to riches story. Someone started from the bottom and worked hard day in and day out until they finally found the riches they have always dreamed of. I don’t mean millions, I simply mean stability. For the majority of us that is all we aim to achieve. For me I dream of someday seeing the same kind of success. Unfortunately my story is more of a rags to riches to rags kind of tale. As a kid my family was definitely lower class and as I became an adult I did everything possible to make sure I didn’t have to struggle the way my parents did. I was quite successful at maintaining a good lifestyle for nearly a decade. I had everything I wanted, didn’t need help from anyone and paid my bills easily with plenty of money left over to spend frivolously. The problem was that I was much too young and ill prepared to handle the amount of money I was bringing in. A few years back a career change was inevitable. Like millions of people I found myself experiencing job loss that led to working for $11 an hour as a single woman. I had nothing invested or even saved for a rainy day. Ahhh….life lessons learned too late. I downsized my life and worked my way up. Today I am in a better place, working for slightly more than $11 an hour. Still I have two jobs and average 12 hour work days with only one day off a week, but I am no longer struggling to make ends meet. Over the last 3 years I have learned a lot about saving money. These lessons have taught me what I need to do better the 2nd time around. While my income has increased, my spending habits have not. Now that I am making more I am able to add to my savings account and am looking into investing properly for the first time ever. Over the last few years I have taken up gardening. Finding my green thumb has helped me to save hundreds of dollars on groceries throughout the course of the year while providing me with a healthy way to release my stress. Whether you live in an apartment or have a huge back yard gardening is possible. I also frequently do my best to save with online coupons. This is an easy way to add money to your account or just a good way to make maintaining your bills possible. I am not recommending extreme couponing. This is kind of counterproductive. To do it in a way in which most would consider excessive is a full time job on it’s own. Most of us don’t have time for that. But you should find coupons for your daily necessities along with any other purchases you may make. My final “duh” suggestion is to be cautious with your electronics. Don’t leave anything plugged in (okay you can leave the fridge running). Turn off all lights and turn up the air or down the heat when you leave your house every day. Likewise in nice weather turn them off altogether and go with natural coolants. You have heard all of these things before, so why aren’t you taking advantage of them? I have found that most people are too lazy to unplug everything they aren’t using. Millions of people spend countless hours a day online, but find searching for coupons to be too much work… I was there once too, but after dealing with extreme struggle it just doesn’t make sense to me anymore. Change your life regardless of your financial status and as your income increases don’t allow your spending habits to change. This is a good start on the road to financial freedom and the stress free life that comes with it. I have had to downsize my lifestyle before and it was definitely no fun. Even being less comfortable at home because we were turning off the heat at 65 degrees was a downsize. But living paycheck to paycheck would also be one! Turning off the heat is a good way to save money, but I can see how it would take some getting used to. Some people just like being toasty warm and would rather not put on a sweater instead. I use coupons all the time. 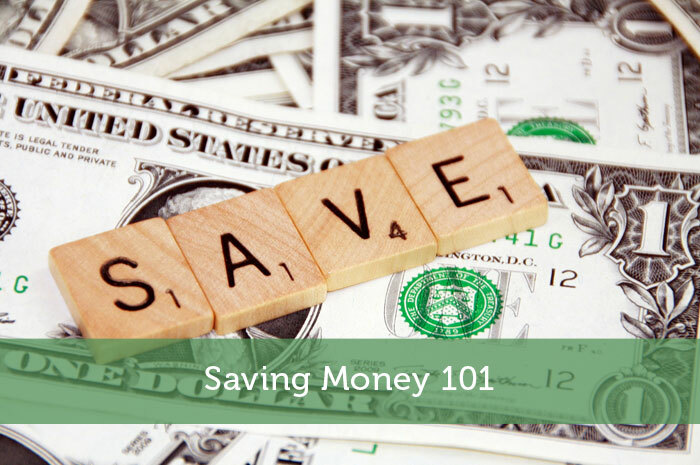 It’s a really easy way to save money on everything from groceries to clothes. I completely agree. I’ve been really emphasizing to my friends lately that almost everything should be purchased with some sort of discount. Businesses are willing to do a lot to make a sale and with a little research (even as simple as a google search) for a coupon, discount, or free shipping, you can save a little bit on every purchase you make. Shoes that are $100 in store can be $90 when you find a coupon for 10% off + free shipping. Try them on in the store, find you ideal size, and head home to order online and save some cash. It may not be ideal for retail stores but I would much rather shop from the comfort of my home than a busy mall. I have heard that this strategy is becoming a big problem for some stores, but you can’t blame customers for wanting to save money while still getting to try on items. I think at least one store went so far as to charge customers a fee to go into the store that is refunded if they buy something. I think it has become such a problem due to the people out there that made it a new sport. They have no respect for people that come after them and clear shelves of products just to say they got 50 jars of pickles for 20 cents. Some people just go so over board. I wouldn’t completely blame those people though. It’s the stores and/or the manufacturers that create these crazy deals that people can’t pass up. It’s only natural that some people will feel the need to stock up. Here in Canada most specials have a limit of how many you can buy at once. It must be nice to have the place empty at regular intervals to be able to turn down the climate control. Our place has five adults working different shifts. It is empty maybe a couple hours per week. Yeah you’re pretty limited in that scenario. Most people have nobody in their homes during the day though. So a programmable thermostat could come in quite handy. Sounds very similar to me where I was making a decent living and didn’t think much about money at all till I lost my job. It’s a rude awakening that’s for sure! That really is a major financial wake up call. It is a shock to suddenly get forced to live off less money and realize that you need to be better with your finances. When things are going well it’s easy to just assume it will just stay like that long term. I just started using coupons this year! It has really saved a lot already. I quite surprised what how many coupons are out there. In the US anyway 🙁 Here in Canada we have far less coupons and they can’t be combined like they can in the US. Not sure the reason there, but if you can save some money that easy, you might as well. It sounds like you have solved one half of the financial equation, saving and living below your income. Now just work on cranking up that income and you will be rockin’. Exactly…it is only half the battle. Mastering both sides of the equation is how you make a serious impact on your finances. Great Tips, unplugging appliances not being used is smart financially, but time consuming as well. I think protecting your main income source while adding passive incomes as much as you can will yield you better results forever. Yes unplugging appliances is time consuming, but realistically what are you going to use that extra 3 seconds for each time? I think for some appliances it makes a lot more sense. Some drain considerably more power while not in use. In my opinion it is best to balance both saving money and earning more. The money you save is essentially an extra raise. Even the indicator lights on power strips definitely add up! Savings in small ways certainly contributes to your long term goals. Pretty much anything with a light or display that stays on all the time is something that you should consider unplugging when not in use. We´ve saved a lot of money by doing the same as you when it comes to electronics. We only use heat when necessary during winter, and we turn off all lights when we´re not in a room. I’d think lights and heat are the biggest things to watch out for when it comes to saving money on electricity. Some older appliances can be a major problem too. Wise advice. It’s easy to get sucked into lifestyle inflation when things are going your way, but in this economy, your economic situation can change on a dime. Living like you make less means you’ll be okay if you need to take a pay cut, and you’ll be awesome if you keep making more than you spend. The economy does definitely play a role in how important this kind of stuff is. No longer can you expect to have a stable job that lasts decades. Investments are seeming more unstable too. By being used to having low living costs you’d be able to deal with ups and downs much easier. Here in Germany, utilities can be 2-3 times the price in the states so efficient usage takes on a whole new meaning. Wow that is a big difference. It would be interesting to see how their per person electricity usage is compared to in the US. You’d think when it is that high, they would try to cut back more, but they might just be accustomed to those higher prices. We can totally relate. Maybe some were born rich already but in one way or the other, we all have dealt with and struggled financially. The good thing about it is getting up and keep moving again. I can really relate too. It’s as if the writer just wrote a post with a modified version of my about page lol. In the winter I keep it around 60 in my house in PA. I wear alot of layers and have an understanding gf :p I’ve also cut the cord to cable which saved me a ton of money each month. Small things add up so anything you can do to save a few bucks is worth it. It does take an understanding girlfriend to put up with some money saving strategies. Some women would just get frustrated and bitter. Sometimes I wish I could just cut the cable tv and save all that money, but sports is something I really enjoy. So I consider it one of my few splurges.